Quality, service and sales of the best industrial embroidery around the national level. Embroidery Barcelona, Madrid embroidery, etc. Providing exquisite quality, try our client has a unique experience, care and counseling in industrial embroidery, seeking business competitiveness and service excellence through creativity, responsibility and commitment of our people. Nothing has changed today in relation to the past, embroidery, embroidery either industrial and embroidery craft, able to express, express an artistic sense and develop the creativity of who creates it. We are a family company with extensive experience in the embroidery and pecking, where we managed to combine tradition with technology. We have the latest technology in software and equipment, training service training conducted, our deal is close and transparent, our quality is exquisite embroidery and our prices in industrial and artisanal embroidery are designed so that all audiences can enjoy our services. We assure you will be amazed at our quality and prices. We have more than 25 heads of embroidery industry, the latest technologies in pecking 3.0 software, a team of experienced, large industrial premises in Barcelona, prices to suit all audiences and what best supports our brand and company: our customers, more than 10,000 customers across Spain. Romi Embroidery In our company, we attach great importance to the continual improvement and training of our staff and the renovation and technological resources of our equipment and software, is why our next actions are based on the extension to a second shop, the purchase of machinery industrial embroidery art and buying art modules of software for industrial pecking embroidery. With our quality and continuous improvement, we can ensure high quality in its embroidered “short periods”, allowing us to make embroidery EEUU, embroidery France, Embroidery Italy, Embroidery England, Embroidery, etc..
WHY CHOOSE TO MAKE YOUR EMBROIDERY? Since 1978 our company continues to assimilate embroidery skills. We have the most sophisticated technology in industrial embroidery and a team with training, both in technologies and techniques of embroidery and pecking. We produce for: embroidery Canada, embroidery Germany, Embroidery Argentina, Embroidery Perú, Embroidery. . .
With our large team working and industrial machinery, we can provide relatively short lead times. We offer express delivery services. Inquire without obligation and learn. Two of the most important in our company is the quality embroidery and customer service, personalized attention is our deal is close and professional. We carry industrial and artisanal embroidery, embroider all kinds of workwear, embroider costumes, flags, footwear, leather, fur, hats, etc … our technology and expertise allows us to embroider on almost any surface and tissue. 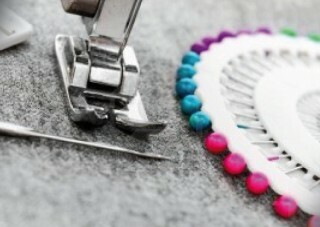 We cover the whole of Spain, with over 30 of experience have made: embroidery Canada, embroidery Germany, Embroidery Argentina, Embroidery Perú, embroidery EEUU, embroidery France, Embroidery Italy, Embroidery England, Embroidery, etc..